Sam tries to save Graymalkin as X-Force battles Iron Man. 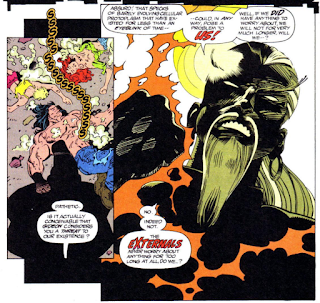 X-Force engages Iron Man, and the resulting damage, combined with the recent EMP burst caused by the collision with the Stark satellite, causes Graymalkin to begin breaking apart. 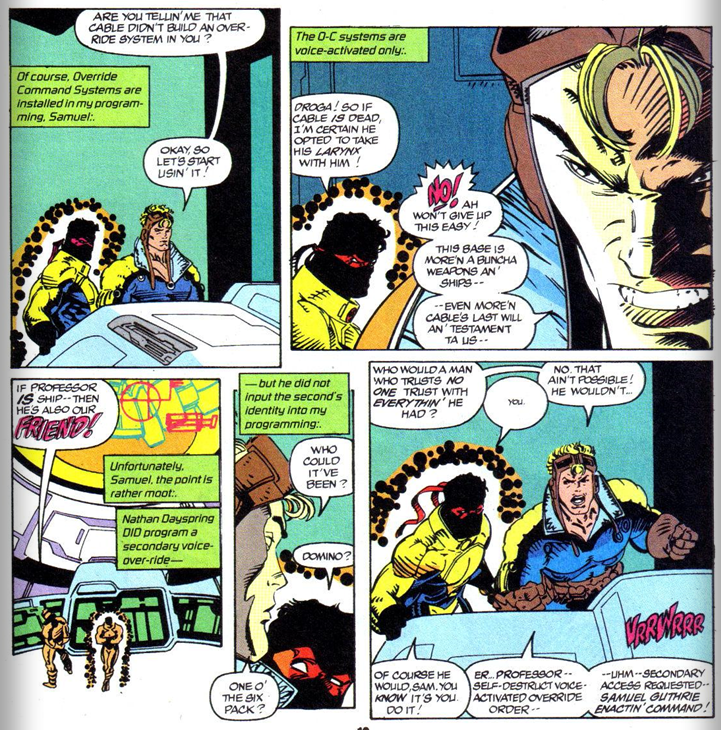 On Earth, Warpath, Boomer & Siryn return from shopping and are ambushed by the Externals, while Domino and Grizzly visit Hammer. On Graymalkin, Professor teleports Sam & Roberto to his command center just as Lila arrives to teleport the team to safety. Sam and Roberto figure out that Cable gave Sam override access to Graymalkin, and Professor needs his help to determine which components of the station to jettison in order to keep the station together. On Earth, Vanessa and her roommate visit a bar, while Deadpool picks up Vanessa's trail. 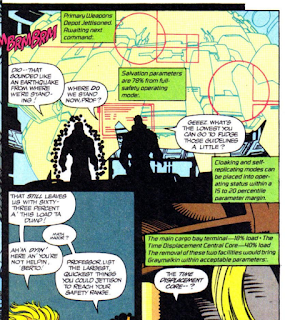 On Graymalkin, Rictor tells Lila they can't leave behind Iron Man and the SHIELD team, while Sam & Roberto begin jettisoning components of the station to Earth. But just as they manage to get the station stabilized, Professor suddenly detects an electromagnetic anomaly, and Graymalkin explodes. Graymalkin explodes at the end of the issue, and while parts of it will survive (and ultimately be incorporated into Magneto's new Asteroid M, Avalon), this effectively marks the end of Cable's space station. 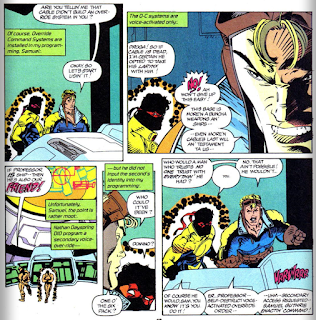 As part of their continuing search for X-Force, Domino & Grizzly check in with their old teammate Hammer for help. In the process, we learn that Grizzly's first name is Theodore and Domino's Beatrice. "Beatrice" will stick as Domino's given name for awhile, but ultimately it will turn out to be a nickname given to her by her husband, with her real given name revealed to be Neena Thurman. Warpath, Boomer & Siryn are captured by the Externals this issue, setting up a plot for the following one. 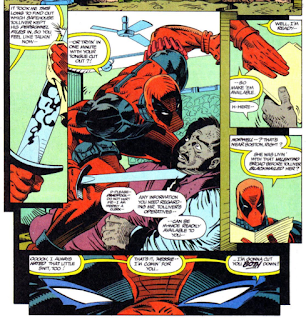 Deadpool appears briefly, his first since issue #15, on the trail of Vanessa. 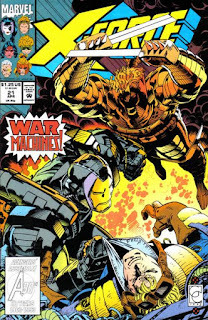 Both the cover and narration refer to James Rhodes as "War Machine" in this issue, the sobriquet he assumes after Tony Stark reveals he's faked his death and starts using a red-and-gold Iron Man suit again, which happens in the issue of Iron Man published the same month as this issue. On the title page, a scan of X-Force by War Machine provides a nice bit of exposition on what each of the title characters' powers are in a subtle way. It's established that War Machine, who is basically Iron Man with extra guns attached, is using rubber bullets in this issue. 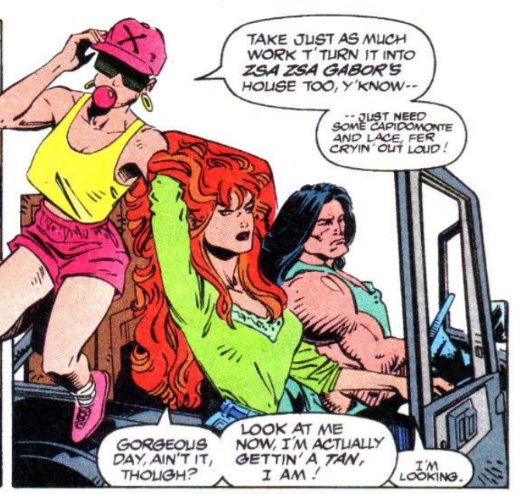 At one point Siryn flies up into the air to check out X-Force's base, and does so without any indication she's screaming. Technically, both Banshee and Siryn's flight is dependent on their screaming, and while this is hardly the first time either character has been shown flying without an accompanying scream, it stuck as a fairly egregious example in this issue for whatever reason. As they work to save Graymalkin, Sam declares his hope that the place represents Cable leaving X-Force something of substance. He also adds that regardless, Professor is Ship, and Ship is their friend. Professor says that in Cable's absence, he wants Sam and Roberto to help him decide what to dump and what to keep, as they like sons to Cable. 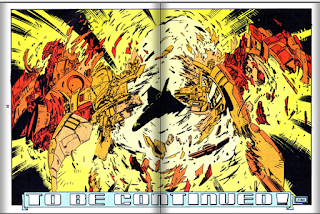 In the end, Sam jettisons both the weapons depot and the cargo bay to X-Force's base (thus enabling the team to have continued access to assorted equipment in future issues), while dumping the Time Displacement Core, the device via which Cable travels through time, into the ocean. 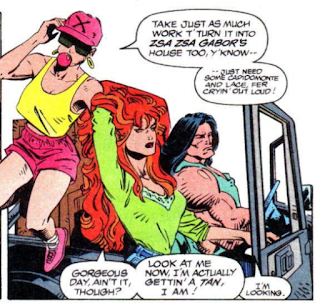 As they return from shopping, Warpath is checking out Siryn. Vanessa and her roommate visit a bar that is a clear pastiche of Cheers. The Entertainment This Month ad hypes X-Men Unlimited #1, giving us a shot of its cover for the first time and touting its high quality, glossy paper. The "Graymalkin as a representation of Sam's grief for Cable" subtext from last issue quickly becomes text here, as Sam outright declares he views the place as Cable's legacy to the team, pinning his hopes that Cable left them something worthwhile on the station's survival. Beyond that, Nicieza ramps up the tension effectively throughout the issue, as X-Force manages to defeat Iron Man/War Machine, only to discover their fight has significantly damaged Graymalkin, after which Lila returns to teleport them to safety, only to discover Sam and Roberto are missing. Graymalkin can be saved, but they need an override code. Sam realizes he has authorization, but in order to save Graymalkin, they have to eliminate any chance, however slim, that Cable could return. It's adding tension on top of tension, and tensions beyond just "will the characters survive?" (which is good, because we fundamentally know they will), which makes for an exciting read, even if it's a little less subtle than the previous issue. Tomorrow, Shadowcat breaks free in Excalibur #64. Next week, the return of John Romita Jr. in Uncanny X-Men #300, and more fun in Genosha in X-Factor #90. I like the "SE" logo in all of War Machine's dialogue boxes. I can't remember if those were in the contemporaneous IRON MAN comics too.
" "Beatrice" will stick as Domino's given name for awhile, but ultimately it will turn out to be a nickname given to her by her husband, with her real given name revealed to be Neena Thurman." I've never understood stuff like this. Like the revelation that Magneto's real name wasn't actually Erik Lenscherr, and then years later we were told it was Max Eisenhardt. If a character is given a real name, what's the point in ret-conning it into just another real name? Unless there's some dramatic reason to do so, it seems silly. "Technically, both Banshee and Siryn's flight is dependent on their screaming, and while this is hardly the first time either character has been shown flying without an accompanying scream..."
Also, I think it's generally accepted they need the "wing-flaps" on thier costumes to control their flight, though both have been shown flying without those accessories several times, too. "The Entertainment This Month ad hypes X-Men Unlimited #1, giving us a shot of its cover for the first time and touting its high quality, glossy paper." 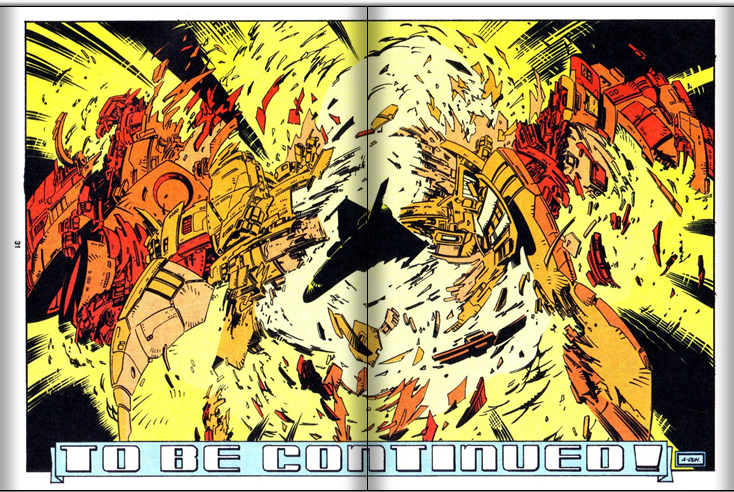 I'll say one thing about the UNLIIMITED comics -- that paper was like a revelation to me. I never knew a comic could feel so thick and high-quality! I loved it a few years later when Marvel transitioned all the X-books from newsprint to glossy paper. If a character is given a real name, what's the point in ret-conning it into just another real name? Yes, this has always puzzled/bothered me too. I get that, sometimes, it's the result of reconciling conflicting information - one writer one time said the name was X, another writer another time said Y. 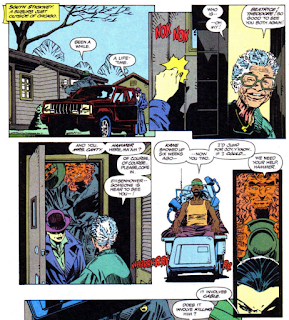 But with Domino (and Magneto), it's a case of one named being used consistently, until a later writer comes along and just decides to change it (though in Magneto's case, Greg Pak, who setup the Max Eisenhardt thing, was really just closing the loop on the late 90s reveal that Erik Lensherr was an alias, but which didn't provide the real name. So I blame that retcon, not Pak, for the Magneto change). I loved it a few years later when Marvel transitioned all the X-books from newsprint to glossy paper. 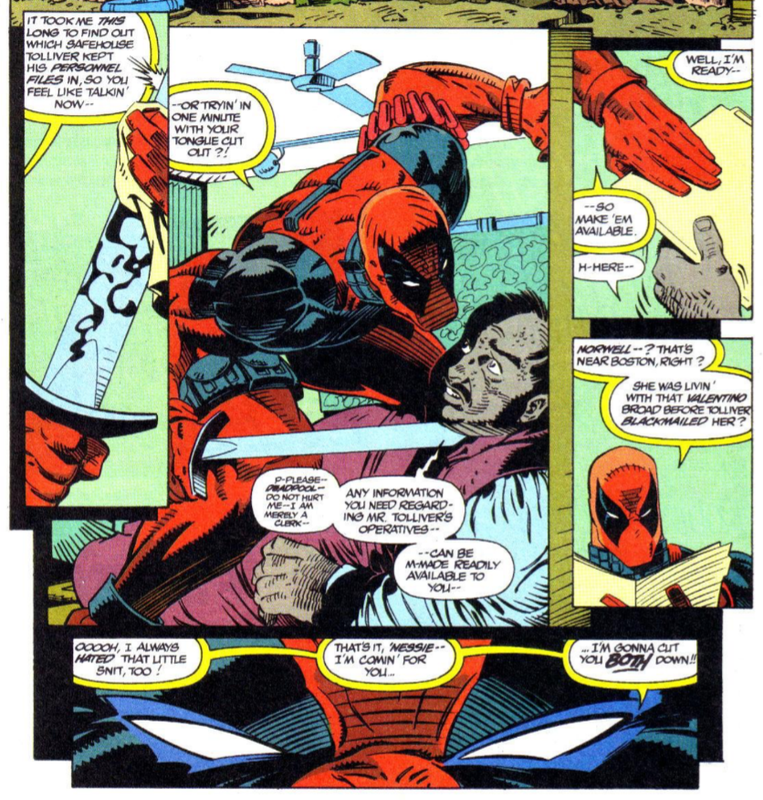 While I do like the added heft of the glossy paper, I *hate* that comics eventually switched across the board to using the glossier, magazine-style paper. I know, I know, it allows for better coloring and supports the art better, but I still wish comics were printed on newsprint. To this day, when I open a single-issue floppy, part of me is still expecting the paper to feel like a comic from the 80s and I'm slightly disappointed when I realize it's been over 20 years since comics were made that way. I have just always had this weird aversion to magazine print, which is one of the chief reasons I read pretty much all magazines and new comics digitally these days (I also think the switch to glossy paper was one of the death knells of the mass market comic industry, exacerbating the already-damaging distribution problems by forcing a higher price point onto single issues. People complain about how expensive a single issue is these days, and I'd be more than happy to see them shave a buck or two off the price and switch back to newsprint (reserving the higher quality stuff for collections). The Magneto thing is especially bizarre since every other medium takes "Erik Lensherr" as his given name, making it doubly pointless. I think the "change" happened at the time they were trying to suggest that Magneto wasn't actually Jewish but of Romani/"Gypsy" herritage (such a background was also being established for his "children" at a similar time, i think influencing the retcon). About the paper, I like it for "modern" day comics. But when they reprint older issues on them, it ends up looking HORRIBLE, sometimes ruining the effect of otherwise great-to-decent artwork. Actually, it's the other way around- in X-Men Unlimited 3, Magneto's name was given as Erik Lensherr and it was revealed that he was Romani. 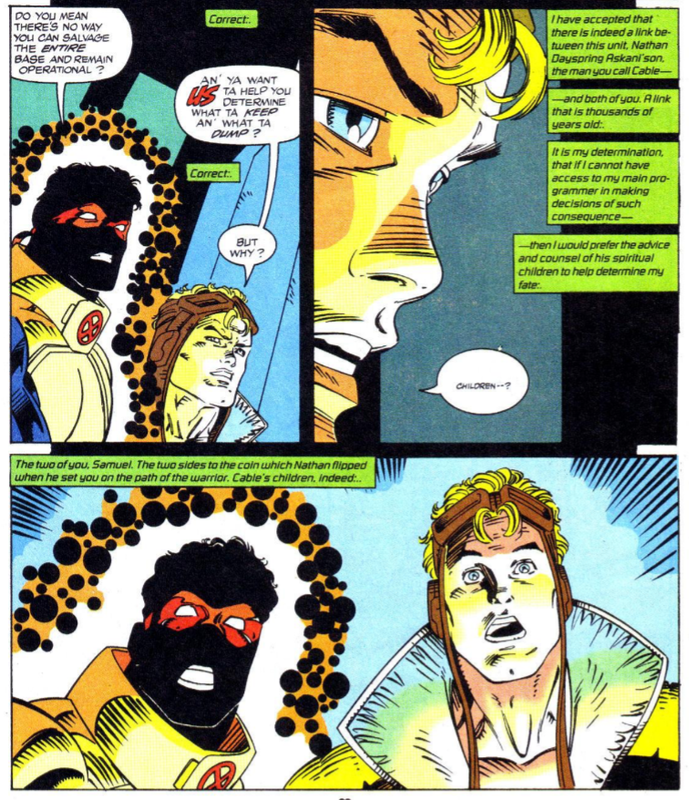 This was written by Fabian Nicieza, at Bob Harras's order. Fabian and Bob argued that this didn't explicitly contradict anything- it had never been said Magneto was Jewish, all that Magneto said in issue 210 was "The horrors of my childhood are happening again, only this time mutants are the victims, instead of the Jews". If you analyze the semantics, they argued, this is not saying Magneto is Jewish. The readers hated it- forget the semantics, it's not possible to imagine a Romani saying this in real life. So the idea that Magneto was Romani got retconned and with it the Lensherr name. Personally, I blame Fabian and Bob for thinking they were being clever when in reality they were ignoring how people talk in real life. 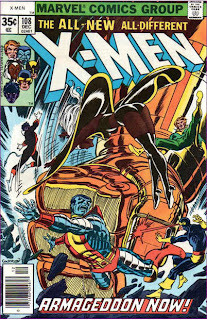 There is also the famous research by Rivka Jacobs, that collects all the Magneto history bits from Claremont's work and makes a solid case that Claremont had apparently done his research extremely well, and everything in Magneto's told backstory combined to the known history pretty much confirms that Magneto is Jewish, and suggests that the backstory was extremely well thought out but Claremont just didn't ever spell it out explicitly... enough, apparently. Well that answers my question about why Rhodes was called Iron Man last issue and War Machine this issue. A mere 24 years later! @Austin: Did anyone ever retrieve Graymalkin's Time Displacement Core from the ocean? 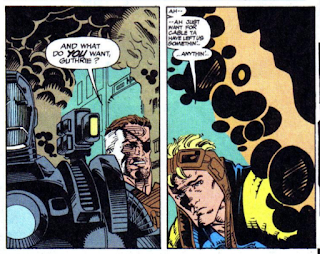 I know that Cable uses it to return from the future (where he ends up after "X-Cutioner's Song") in the early issues of his solo series (like #4, I believe), and he and Kane have to deal with the fact that it's on the bottom of the Pacific Ocean. But I forget what happens to it there - if it gets destroyed or left as is or whatnot. But we'll find out in a few months! I wasn’t entirely unmoved by Sam wanting to know Cable left them something and Roberto figuring out Cable had designated Sam as the one person whom Cable would trust as the alternate voice for override codes because, as Professor Graymalkin T. Ship notes, they’re his “spiritual children” and he had a father/son bond with Sam in particular, but I’m left feeling like I was told more than shown that. Which could maybe be intentional, as we don’t know how much temporal flitting-around Cable has done within his own history and it’s possible that he spent more time with Sam et al. in their future, his own past, before he became their leader in this present-day stretch of New Mutants and X-Force. 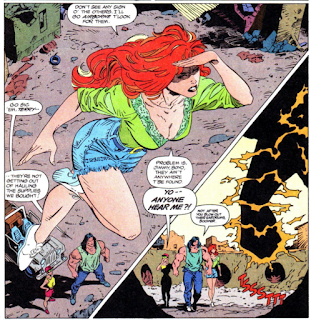 Agreed on the Siryn thing — my note while reading was They’re not even pretending that she uses her voice to fly! I’m not quite prepared to bet my car that Feral’s reference to Lila as a “pre-Madonna pampered rock star" is a bizarre scripting/lettering/editing error for “prima-donna pampered rock star” but it seems more likely context-wise than Feral pointing out that Lila’s career began over a decade ago. Oddly enough, Fury later refers to Lila as “Madonna Reed”. That could be an actual thing I’m unfamiliar with but it sure appears to be a mash-up of “Madonna” and “Donna Reed” in reference to how she dresses juxtaposed with how she’s acting like, in Fury’s words again, a “mother hen” to X-Force — which is smack out of the Peter David Handbook of Too-Clever Puns Spoken Casually by the Wrong Character. I'm pretty sure "pre-Madonna" is perfectly intentional. This was around the age when the sliding timescale was only starting to emerge as an invention of necessity, and Madonna was into some visible singer-turned-into-film-starlet stuff at the time, and if an insolent teenager wanted rub it into someone in the music scene that they're closer to, gasp, 30 than 20, pointing out that their best days in the 80's kind of rock were before those of Madonna, this does the trick. At least in the eyes of the ~10,15 years older scripter. I btw noticed your comment for the WOLVERINE #67 discussion about something-Reds only too late, and commented back there.